Product categories of Custom Pendant, we are specialized manufacturers from China, Custom Pendant, Heart-Shaped Pendant suppliers/factory, wholesale high-quality products of Couple Pendant R & D and manufacturing, we have the perfect after-sales service and technical support. Look forward to your cooperation! The JMY custom pendant collection offers an exquisitely colorful range of remarkable jewelry pieces that showcase the brand`s renowned precision technology and high quality material.Whether hanging from a Whether hanging from a ruthenium, rhodium-plated chain or sparkling on a gold-plated strand, JMY pendants, created in a shimmering array of shades, are exquisitely unique creations that can be matched with the stunning selection of earrings and bracelets.From the simple geometry series to the classic bond skull series,the genuine pendant are just a few of the brilliant examples of distinguished design that the JMY pendant collection offers. 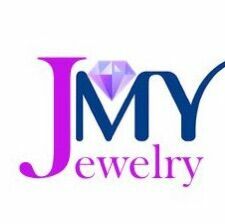 Set against a simple outfit or as an accessory for a special occasion, the JMY pendant collection represents the brand`s innovative modern luxury philosophy and reflects the beauty of light through color crystal design.